HRH Prince Charles received an introduction to biochar carbon sequestration during his visit of Barritskov Farm in Denmark. A few weeks later the European Ministers for Environment showed interest in options to sequester carbon in agriculture. Dr. K.C. Das (University of Georgia) testifies in Congressional Hearing May 21, 2009: Dr. KC Das was invited as witness before the US House Committee on Small Business; Hearing on the impacts of outstanding regulatory policy on small biofuels producers and family farmers including biochar carbon sequestration. Dr. Lehmann provided scientific information about biochar carbon sequestration for sustainable climate change mitigation and global soil enhancement. 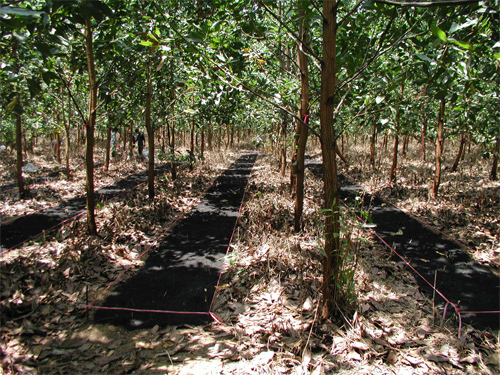 A biochar project to protect tropical rainforests has been selected by the Congo Basin Forest Fund (CBFF). The project will help solve the hunger pandemic in Central Africa by tackling one of its root causes – rapidly declining soil fertility – , it will slow down deforestation and the destruction of biodiversity, and it solves the household energy crisis amongst the poor. Moreover, the reduction in the rate of deforestation, sustainable soil fertility management, a more efficient fuel (fire wood) use and the establishment of a stable carbon sink all contribute to mitigating climate change. Over the next two years, the partners will implement the project in the region of Pimu, which consists of a group of around 10 villages at the tropical forest frontier in the Democratic Republic of Congo's Equateur Province. Biofuelwatch initiated a campaign against biochar carbon sequestration. The motivation driving this organization to repeatedly publish false statements about biochar is not clear and seems not to be the result of insufficient knowledge. Other organizations joined and spread the wrong information without review and further research into the topic. (more information about biochar carbon sequestration ). Even George Monbiot adopted Biofuelwatch’s radical views without questioning. Among many others, the famous ecologist James Lovelock defended biochar carbon sequestration. He published in his recent book that we have to turn agricultural wastes into charcoal and bury it. This is how Gaia would remove excess CO2 from the atmosphere. 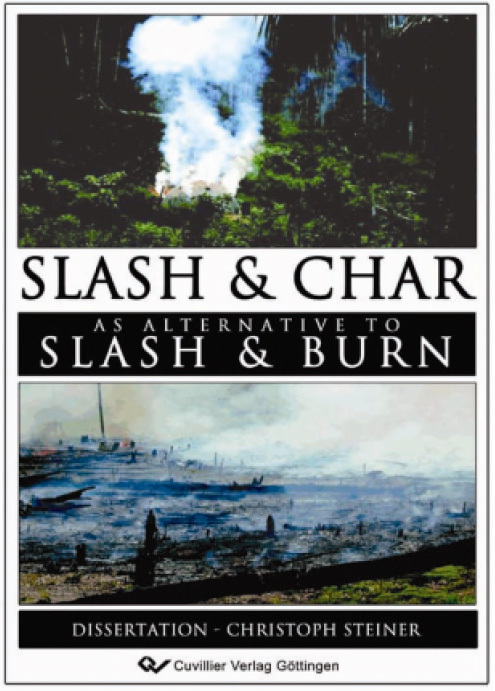 To rename charcoal as biochar is criticized by both authors, but the current debate justifies the name biochar. Biochar should be distinguished from charcoal, which is produced to be used as a fuel. Those images are presented by Biofuelwatch. Neither charcoal produced for the industry nor charcoal produced in Virunga National Park (threatening the last Mountain Gorillas) will establish a carbon sink. 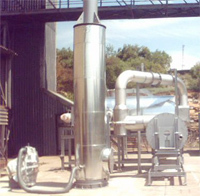 Carbonizing biomass which would otherwise decompose or would be burned and its use as soil amendment, this is biochar. Carbonizing rainforest will not create a carbon sink. 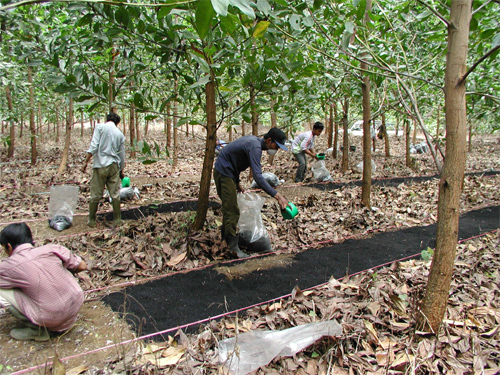 The carbon trade and biochar carbon sequestration could enable farmers to invest into long-term soil fertility and reduce deforestation. The utilization of waste biomass would actually mitigate those concerns associated with bio-fuel production. 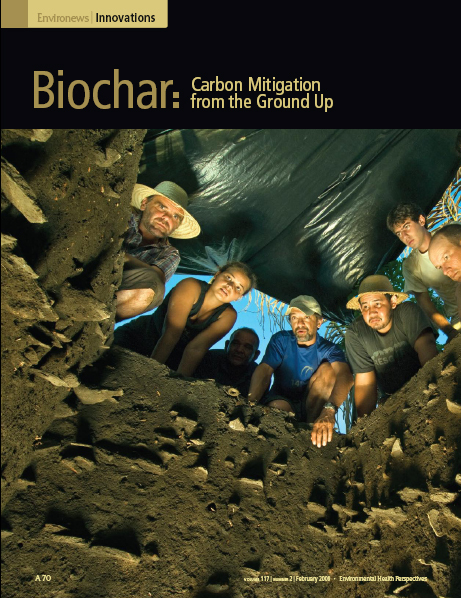 Our biochar proposal submitted to COP-14 in Poland (UN Climate Change Conference) by the UNCCD was accepted by the UNFCCC for the dialogue for the post 2012 climate regime. This is an important step towards UN certified emissions reductions (CER) and clean development mechanism (CDM) projects. Mr. Goodspeed Kopolo (senior officer of the UNCCD) took the initiative and called attention to biochar carbon sequestration. From December 2007 to December 2008 important events and conference submissions were organized by the UNCCD. The Federal States of Micronesia sumbitted "Ideas and proposals on paragraph 1 of the Bali Action Plan" The strategies with existing technologies to mitigate climate change in the immediate near-term include biochar carbon sequestration. As multibillion-dollar projects intended to sequester carbon dioxide (CO2) in deep geologic storage continue to seek financial support, the fertile black soils in the Amazon basin suggest a cheaper, lower-tech route toward the same destination. "Interestingly, between 500 and 2,500 years ago Amerindian opulations added incompletely burnt biomass to the soil. Today, Amazonian Dark Earths still retain high amounts of organic carbon and fertility in stark contrast to the low fertility of adjacent soils. There is a global production potential of 594 million tons of carbon dioxide equivalent in biochar per year, simply by using waste materials such as forest and milling residues, rice husks, groundnut shells, and urban waste. Far more could be generated by planting and converting trees. Initial analyses suggest that it could be quite economical to plant vegetation for biochar on idle and degraded lands, though not on more highly productive lands. Most crops respond with improved yields for biochar additions of up to 183 tons of carbon dioxide equivalent and can tolerate more without declining productivity. 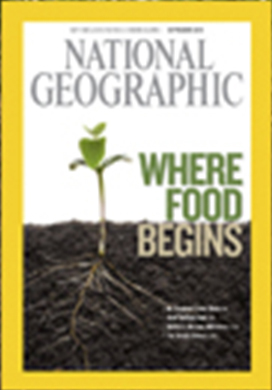 Advocates calculate that if biochar additions were applied at this rate on just 10 percent of the world’s cropland (about 150 million hectares), this method could store 29 billion tons of CO2-equivalent, offsetting nearly all the emissions from fossil fuel burning." Amazonian soils are almost universally thought of as extremely forbidding. However, it is now clear that complex societies with large, sedentary populations were present for over a millennium before European contact. Associated with these are tracts of anomalously fertile, dark soils termed terra preta or dark earths. 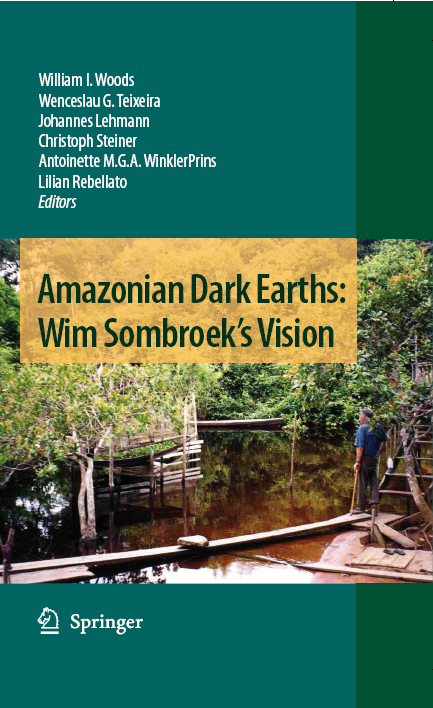 These soils are presently an important agricultural resource within Amazonia and provide a model for developing long-term future sustainability of food production in tropical environments. The late Dutch soil scientist Wim Sombroek (1934-2003) was instrumental in bringing the significance of these soils to the attention of the world over four decades ago. Wim saw not only the possibilities of improving the lives of small holders throughout the world with simple carbon based soil technologies, but was an early proponent of the positive synergies also achieved in regards to carbon sequestration and global climatic change abatement. Wim’s vision was to form a multidisciplinary group whose members maintained the ideal of open collaboration toward the attainment of shared goals. Always encouraged and often shaped by Wim, this free association of international scholars termed the Terra Preta Nova Group came together in 2001 and has flourished. This effort has been defined by enormous productivity. Wim who is never far from any of our minds and hearts, would have loved to share the great experience of seeing the fruits of his vision as demonstrated in this volume. 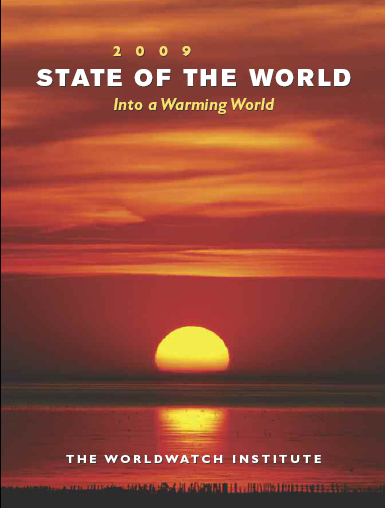 Its introductory comments and 28 chapters written by 73 authors relate the latest findings in landscape history, indigenous practices, soil development, soil chemistry, anthropology, and archaeology, and the implications of those to modern social and land stewardship issues. 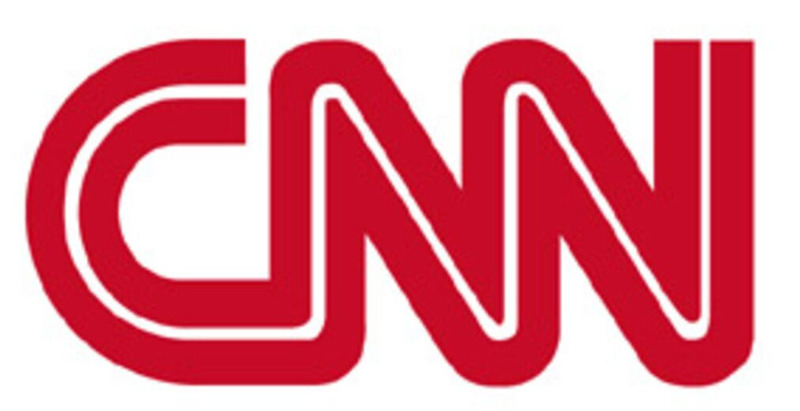 Climatologist James Hansen of the NASA Goddard Institute for Space Studies warns that today's carbon dioxide levels are already dangerously high. Special Report: Inspired by Ancient Amazonians, a Plan to Convert Trash into Environmental Treasure. New bill in U.S. Senate will advocate adoption of "agrichar" mehtod that could lessen our dependence on fossil fuel and help avert global warming. The article contains some information about the value of soil organic carbon, the potential of soils to sequester carbon and Terra Preta. Back in black : Could charcoal be the new green? Can "Biochar" save the planet? 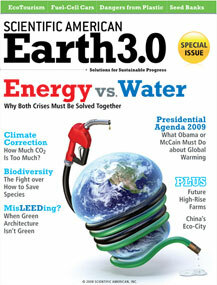 20 big green ideas - biochar ranked highest! The article on mongabay.com deals about a proposed mechanism for generating carbon-negative bioenergy. Bioenergy with carbon storage (BECS) holds out the prospect of reducing CO2 from the atmosphere while producing carbon-negative energy. The article provides an informative introduction on how "carbon-negativity" is feasible and assumes geosequestration (developed from the "clean coal" industry, CO2 capture in depleted oil and gas fields, saline aquifers etc.) as the sequestering tool. Laurens Rademakers delineates the risks such as deforestation of tropical rainforests and leakage of geosequestration. In addition these technologies require vast capital inputs and large scale projects. Ancient skills "could reverse global warming"
The biochar concept has meanwhile received formal political support. In order to speed up biochar research the U.S., Colorado's Senator Ken Salazar recently introduced "The Salazar Harvesting Energy Act of 2007" , focused on carbon-negative bioenergy production. The bill (S. 1884) is awaiting discussion in the Senate Agriculture, Nutrition and Forestry Committee. Kansai Environmental Engineering Center Co. The project on biomass utilization and forest conservation is proposed as a Clean Development Mechanism (CDM) project, by incorporating the carbonization of biomass residue and waste from the tree plantations and pulp mills, and also non-fuel utilization of charcoal like soil amendment in agriculture and forestry, water purification, etc. The total amount of carbon acquired by biochar reaches 18,587 Mg-C year-1 (biochar used for soil improvement). Pro-Natura International has developed a coninuous process of pyrolysis of vegetable waste (agricultural residues, renewable wild-grown biomass) transforming them into green charcoal. Two billion people worldwide face domestic energy shortages. The exclusive use of wood for energy increases deforestation that dramatically increases the problems of drought and desertification. Combating the widespread rural problem of indoor air pollution (IAP) that kills more than 1.6 millian people each year. 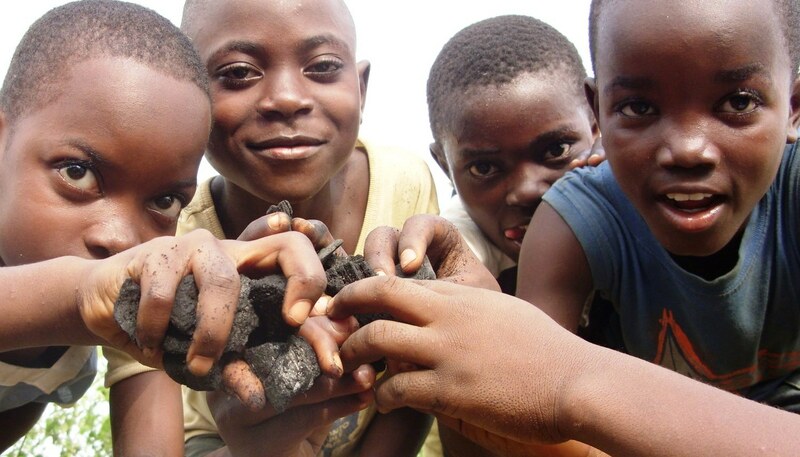 Eliminating greenhouse gas emissions (methane) that are associated with the normal production of charcoal from wood. Abatement of CO2, CH4 and N2O emissions resulting from the bruning of agricultural residues. The authors evaluated an avoided emessions potential by a Pyro-7 machine of 12.45 kg of CO2 equivalent per kg of green charcoal, i. e. 13,700 tones of CO2 per year. 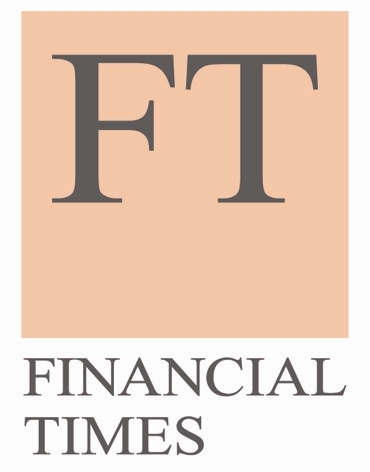 Read more about pyrolysis, carbonisation techniques, agglomeration of the fines, and the CDM project. Mainly in southern Germany, Austria and western Czechia, these stones can be found distributed in the landscape. 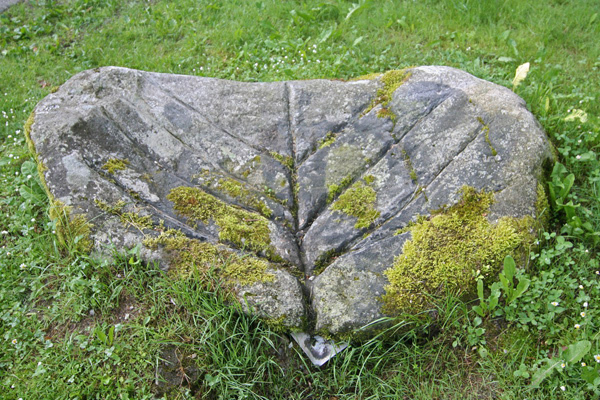 The stones were used since the 8th century to collect pitch tar, creosote or wood vinegar (pyroligneous acid). The process is similar to wood carbonization and the liquid products were (are) used as lubricant, firebrand, pharmaceuticals and for sealing (e.g. woody barrels). Charcoal is byproduct from wood gasification. This movies demonstrate that efficient and clean burning cooking stoves can produce biochar for horticulture. The efficiency of cooking stoves is important as fuel wood is becoming a scarce resource in many areas and open fires cause severe air pollution. There are many ways to carbonize biomass. The mechanism is combustion under partial exclusion of oxygen.